The Wii U is currently in short supply of racing games but that's all set to change next month when TNT Racers: Nitro Machines Edition drifts into the eShop. Essentially, it's a battle-racing game not too dissimilar to classic titles like Micro Machines and R.C. Pro-Am and looks like a perfect excuse for some high octane multiplayer action. As you may have guessed, the camera follows the cars in an isometric view as they speed around the colourful race tracks and should a racer fall back far enough to go off-screen they are instantly eliminated. However, that doesn't mean they need to put down their controllers and wait for the next race, they can return as a shadow car to set up traps to harass the other players - this is certainly good for a bit of sneaky revenge. 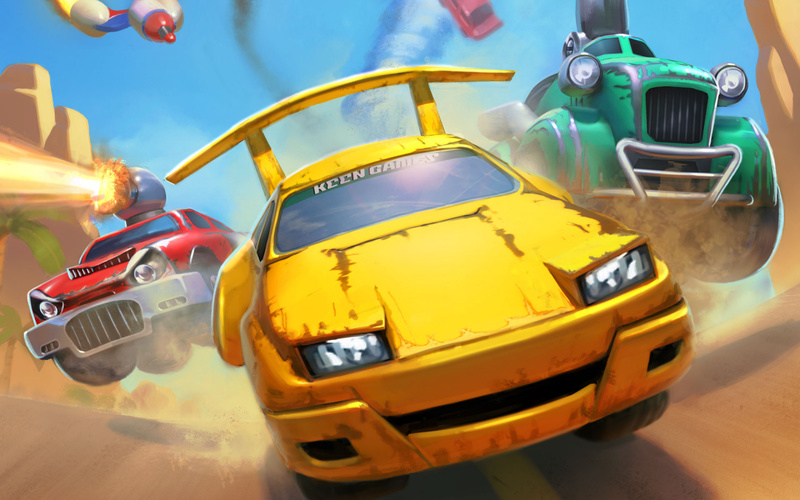 The German developer keen games has crammed a lot into TNT Racers: Nitro Machines Edition and with 26 race tracks, 75 challenges, 16 cars types and seven game modes there should be enough gas in the tank to keep players coming back for quite some time. Interestingly, there's a custom mode for players to tweak things such as AI strength and weather effects and there's also some online leaderboards for those looking to set some big numbers. 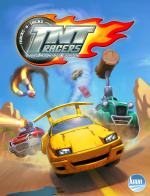 TNT Racers: Nitro Machines Edition is expected to take its starting position on 26th September and will be $7.99. We actually liked the WiiWare adaptation of this one - you can take a look at our TNT Racers review to get a feel for what to generally expect with the new iteration. Are you looking forward to TNT Racers: Nitro Machines Edition? Let us know your thoughts on it in the comment section below. I played TNT Racers on XBOX 360 once and it was pretty fun game. I was going to buy the WiiWare version but never did. Now I have a second chance. Is it like Ivan Stewart's off road? Believe it or not, that game was flipping great (imo). If it's not, is there somebody that can give me a worthwhile replacement (I have excitetrucks/bots already). I tried it on PS3. It was good, graphic and gameplay are fun, but tracks felt too generic... like it's coming from a track editor... but for the price it's a great game. Would love to see Micro Machines, or Fun Tracks/Ignition games sequels, with maybe less tracks but more personnality in their design. I liked this game, the multiplayer is great, have the WiiWare version. Unfortunately the WiiWare version, even with the two DLC packs, was missing cars and tracks from the other versions. Is this the same game in HD, complete (this time? ), with extras and all DLC included, or a new game? Either way 7,99 sounds like a better deal than the 18 bucks I paid for the full/incomplete WiiWare version. This looks really fun, great for the whole family. This caught my attention on the Nintendo Direct. Reminds me of Micro Machines. Isometric racers, hooray! I'm quite interested in this. I hope it comes with online multiplayer. @NMH-TRI That game defined my NES days back in the 90's...my family didn't get anything past Master System and NES until the Dreamcast. @NMH-TRI - When you mean a replacement do you mean for any console or what? RC-Pro AM (NES) and Rock N Roll Racing (SNES) were great but more recently the Wii Ware game Driift was pretty cool! Wasn't this announced for EU on "August 8th or a week after" , looking forward to this & hoping it still has online multiplayer as the developers don't seem to be talking about it. The WiiU has vastly better online than the Wii and that managed online multiplayer so I'm hoping they keep it in for this Ultimate version. Like Micro Machines, you say? You've got my attention. @NMH-TRI Indy heat (amiga/nes), Motorstorm RC (ps3,vita) and Generally (pc, free!) are the best, they are overhead racers in which you can see the whole or most of the track. This is a day one download for me. Let's hope it lives up to Micro Machines, which is one of the most fun multiplayer series I've ever had the pleasure to come across. Need to see a video or pictures, but I may get this. Its got All-Stars Racing Transformed (They should have just branded it Mario Kart it will likely be a much better game). Don't see why it needs more. Reckon this will have online leaderboards? am assuming the Wii version didn't. @unrandomsam You can never have too many fun and unique kart racers! @zeldagaymer93 I like Dreamcast Wacky Races. (It is the only one where the rubberbanding AI doesn't annoy me because it is just like the cartoon). I don't like it where you can immediately win. (First time I ever played the Wii Mario Kart 150cc - Don't remember which character I just chose the bike with the highest top speed ended up nearly a lap behind. Got the bullet bill thing and won the race no interest in games like that. No incentive to ever get better at it). Motorstorm RC is a great and challenging top racer. As far as older titles are concerned micromachines was very fun. I have tried TNT (was it on PSP or PS3 ?) but I don't really remember it. I remember playing Micro Machines but not on the NES, on the Game Boy Color. A friend of mine had that game, I suppose it should be similar to the NES original. Other than that I played a lot with Micro Machines, the actual toy cars. I must still have my MM garage set on the attic. Someone really needs to bring back Micro Machines to videogames. I don´t know it they are still popular toys, though. Have Hot Wheels kicked them out? Is this a remake or expansion of Wiiware version?